How Could We Repurpose Malls for Population Health? The malls were everything when I was growing up. Minnesota is my home state, which is not only the home of the very first enclosed mall in the United States (Southdale!) but also the home of Mall of America. So, I can safely say I know my malls. In 2018, though, malls across the U.S. are closing. Here in Vermont, a huge project is underway to re-vitalize the Church Street mall for the new century. 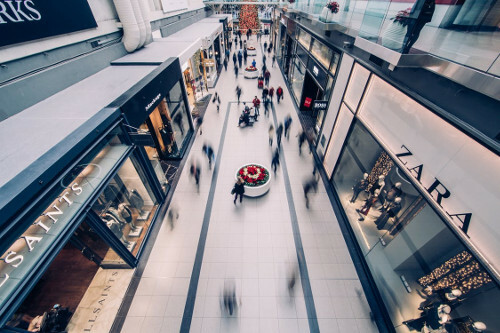 There are a lot of different ideas out there about what to do with these malls – but, personally, I’d like to suggest that we repurpose malls for population health. This is the kind of healthcare disruption that breaks away from the traditional focus on hospital settings. Health goes beyond medical care. All the data show that, in order to help people live healthier lives, we need to understand the communities in which people live. Social and behavioral determinants of health have taken on new importance as we realize that medical care is not the best approach to preventative health. In terms of healthcare disruption, designing communities to foster healthier people is about as disruptive as you can get. There are a lot of movements under way now to promote this (like this one) so here’s where I throw my own hat in the ring and describe what I’d like to see. Malls are a perfect community space. Malls are already in existence in suburban and many urban places throughout the United States. They have proven themselves to be a good gathering place for their surrounding areas and offer untold space for a variety of initiatives. They have good parking (still critical for all but urban areas). They are spacious, wheelchair-accessible and have the facilities to handle large numbers of visitors. Most malls offer both small, private spaces (the former retail spaces) as well as the larger, open courts that can host a variety of community activities. What would make malls into a healthy community hub? The minute we let go of a purely medical focus on health, the possibilities for a thriving community grow. And, indeed, community is an essential component of health. The current American emphasis on work and “success” above all else belies the human connection and support we truly need. Here are just a few of the ways we could use malls to facilitate physical and emotional health, while cultivating strong community bonds. By combining a wide variety of community and health initiatives under one roof, people will interact with each other more and foster greater ties to their community. They will also be coming together over nourishing and re-vitalizing activities, rather than for fast food and the fashion du jour. I dream of the day when people do not need to drive to a mall to find community but, instead, live in areas planned to foster community right in the heart of their town. But, until then, repurposing malls to serve a broader, population health goal is a great option.